This is the fresh unweathered granite version. (rust) as well as the accumulation of salt on the surface. Stone is widespread in its use as a building material and artistic medium. One of its most remarkable qualities is that it changes appearance as it interacts with the environment. These changes are mainly confined to the surface but involve complex volumetric effects such as erosion and mineral dissolution. This paper presents an approach for the modeling and rendering of changes in the shape and appearance of stone. To represent stone, we introduce a slab data structure, which is a surface-aligned volume confined to a narrow region around the boundary of the stone. Our weathering model employs a simulation of the flow of moisture and the transport, dissolution, and recrystallization of minerals within the porous stone volume. In addition, this model governs the erosion of material from the surface. To render the optical effects of translucency and coloration due to the composition of minerals near the surface, we simulate the scattering of light inside the stone using a general subsurface Monte Carlo ray tracer. These techniques can capture many aspects of the time-dependent appearance of stone. 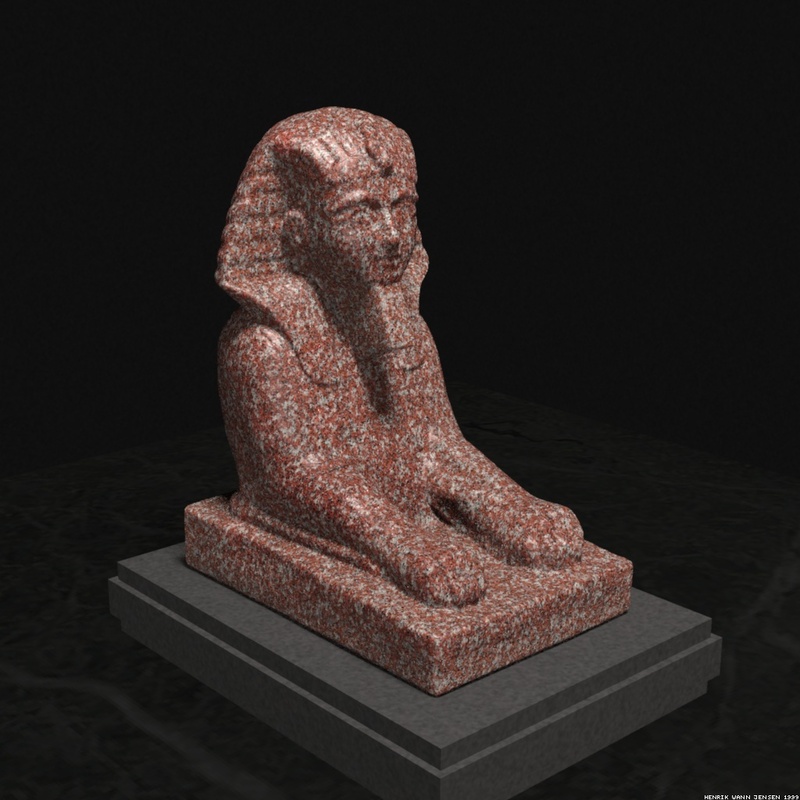 We demonstrate the approach with models of granite and marble statues, as well as a sandstone column. Key words: erosion, material models, natural phenomena, physical simulation, ray tracing, subsurface scattering, texturing, volume modeling, weathering. Here is a 6.9MB pdf file with the paper.